Here’s the truth: Excel struggles are real. As a marketer, it’s likely that you know these tiny conflicts all too well. From accidental deletes to misplaced numbers, one click can throw your spreadsheet all out of whack. And putting it back together once you’ve done the damage can be seriously frustrating — not to mention, time-consuming. But you’re not alone: Even the most advanced Excel users experience these errors from time to time. For that reason, we’ve put together some tips designed to save you a few minutes (or hours) when solving frustrating Excel errors. Check them out below. Begin every formula with an equal sign. Use the * symbol to multiply numbers, not an X. Match all opening and closing parentheses so that they are in pairs. Use quotation marks around text in formulas. We’ve all fallen victim to the little green arrow in upper-left hand corner of a cell before. You know, that pesky little flag that Excel uses to indicate something has gone wrong with the values in the cell. But in other cases, you still can’t seem to figure out what’s gone wrong with your spreadsheet to solve this error. For those cases, we’ve provided the following list of common errors, explanations, and tips for overcoming them. Dig in for the context you need to right your wrongs and get back on the Excel saddle. Excel displays the #VALUE! error when it finds spaces, characters, or text in a formula where it is expecting a number. Excel requires formulas to contain numbers only and won’t respond to formulas associated with numbers, so it will show you an error is if you’ve included anything else. An easy solution to this error is to double check your formula to make sure that you only used numbers. If you’re still seeing an error, check for blank cells, missing formulas linking to cells or any special characters you may be using. 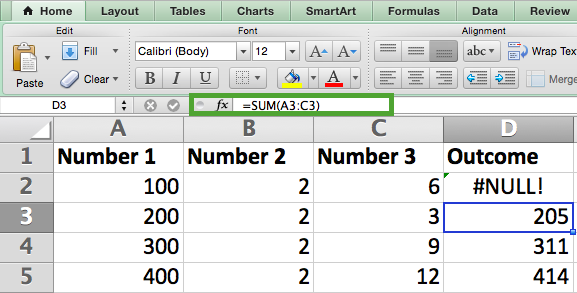 In the example above, the “Sum” column is referring to empty cells. Excel can’t calculate the sum of empty columns, so it gives us an error. Why Do I Get #NAME in Excel? The #NAME? error message appears if Excel can’t understand the name of the formula you’re trying to run, or if Excel can’t compute one or more values entered in the formula itself. To resolve this error, check the formula’s spelling, or use the Formula Builder to have Excel build the function for you. No, Excel isn’t looking for your name in this case. The error, #NAME?, appears in a cell when Excel can’t read certain elements of a formula you’re trying to run. You might also have spelled the formula correctly, but don’t have enough information entered in the formula’s individual entries. Check out how this error might look below — as you can see, the table array entry is incomplete. 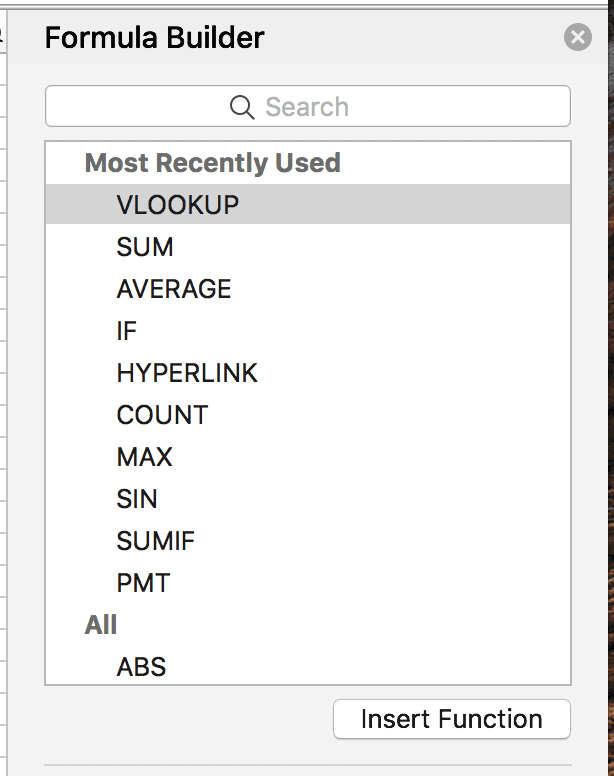 It needs an actual spreadsheet name to know where to look up our desired value. To fix the #NAME? error in Excel, check the spelling of the formula you’re trying to run. If the formula is spelled correctly, and your spreadsheet is still returning an error, Excel is probably getting confused over one of your entries inside the formula. An easy way to fix this is to have Excel insert the formula for you. 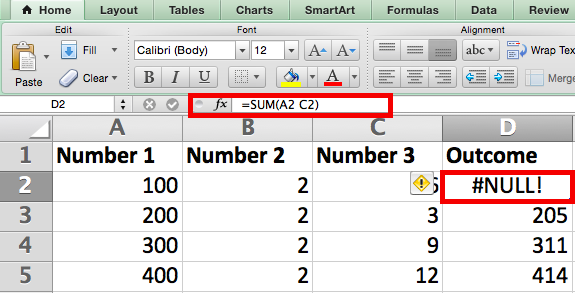 Highlight the cell in which you want to run a formula, then click the “Formulas” tab in the top navigation. Select “Insert Function” (If you’re using Microsoft Excel 2017, this option will be on the far left of the Formulas navigation bar). Once you select “Insert Function,” a Formula Builder will appear to the righthand side of your spreadsheet where you can select your desired formula. Excel will then walk you through each step of the formula in separate fields, as shown below, to ensure no errors are made and the program can read your cell correctly. When you see ##### displayed in your cell, it can look a little scary. The good news is that this simply means the column isn’t wide enough to display the value you’ve inputted. And that’s any easy fix. Click on the right border of the column header and increase the column width. Pro Tip: You can double-click the right border of the header to automatically fit the widest cell in that column. When you see #DIV/0!, you are asking Excel to divide a formula by zero or an empty cell. In the same way that this task wouldn’t work if you were doing division by hand, or on a calculator, it won’t work in Excel either. In some cases, you might find that you’re simply waiting for input in a particular cell. Rather than including a “0” as a placeholder, and subsequently turning up a #DIV/0! error, you can add a custom display message. Learn more about your alternative options here. What Is the #REF Error in Excel? The #REF! error in Excel appears if you’re running a formula that is referring to a cell that doesn’t exist. If you delete a cell, column, or row in your spreadsheet, and build a formula including a cell name that has been deleted, Excel will return the #REF! error in the cell holding the formula. Now, what does this error really mean? That means you may have accidentally deleted or pasted over a cell that was used in your formula. For example, let’s say the “Outcome” column, below, references the formula: =SUM(A2,B2,C2). Before you paste over a set of cells, make sure there are no formulas that refer (hence, “REF”) to the cells you’re deleting. 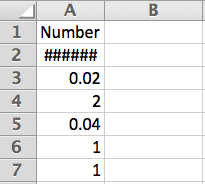 Also, when deleting cells, it’s important to double check what formulas are being referred in those cells. Pro Tip: If you accidentally delete a few cells, you can click the Undo button on the Quick Access Toolbar (or press CTRL+Z for PC / Command + Z for Mac ) to restore them. #NULL! errors occur when you specify an intersection of two areas that don’t actually intersect, or when an incorrect range operator is used. Range operator (semi colon): Defines a references to a range of cells. Union operator (comma): Combines two references into a single reference. Intersection operator (space): Returns a reference to the intersection of two ranges. First things first, check to make sure that you are using the correct syntax in your formula. You should be using a colon to separate the first cell from the last cell when you refer to a continuous range of cells in a formula. On the other hand, you should be using a comma should when you refer to two cells that don’t intersect. When you see #N/A, this typically means that the numbers you are referring to in your formula cannot be found. You may have accidentally deleted a number or row that’s being used in your formula, or are referring to a sheet that was deleted or not saved. Triple check all your formulas and be sure to look closely at which sheets or rows may have been deleted or incorrectly referenced. If you have a few formulas linked together, check to see that everything in every formula has a value. 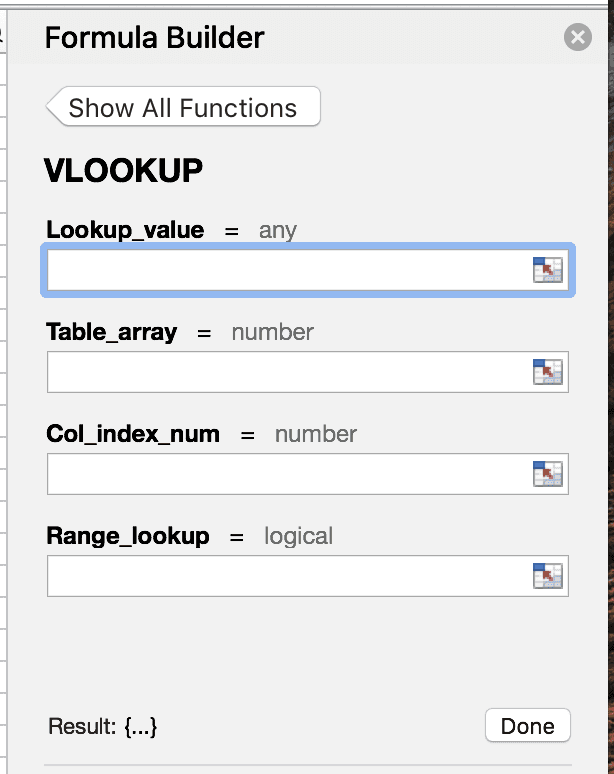 For advanced users using VLOOKUP functions, reference this guide. If your formula contains numeric values that aren’t valid, you’ll see an #NUM! error appear in Excel. Often times this happens when you enter a numeric value that’s different than the other arguments used in your formula. 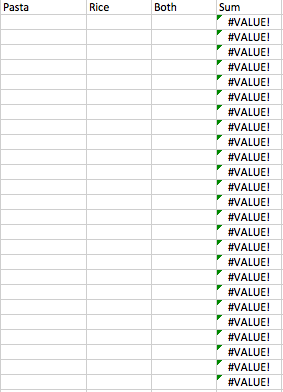 For example, when you’re entering an Excel formula, make sure you don’t include values like $1,000 in currency format. Instead, enter 1000 and then format the cell with currency and commas after the formula is calculated. Check to see if you have entered any formatted currency, dates, or special symbols. Then, make sure to remove those characters from the formula, only keeping the numbers themselves. Want more Excel tips? Check out this post on simple Excel tips, tricks, and shortcuts.